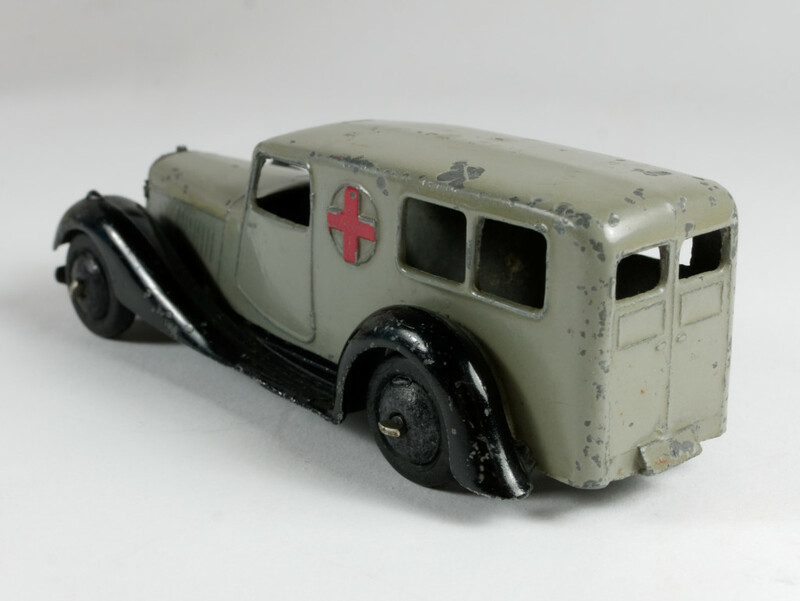 The ambulance is missing a headlight and a bit scruffy, but I never had an open-window version before! This is very beautiful models. I have the ambulance in Beidge. Both have the cast in windows. One has the so called "Blackend" windows. Someone once explained to me that it might have been done with a Koki (permanent marker), but I doubt is as it shown some paint loss in one of the windows. Incidently mine with the non painted windows also have a headlight missing and is well chipped. The other one has only a few marks on it. I am also looking for the grey one with the open windows. Well done on your aquisitions. Thanks for the comments, gentlemen! 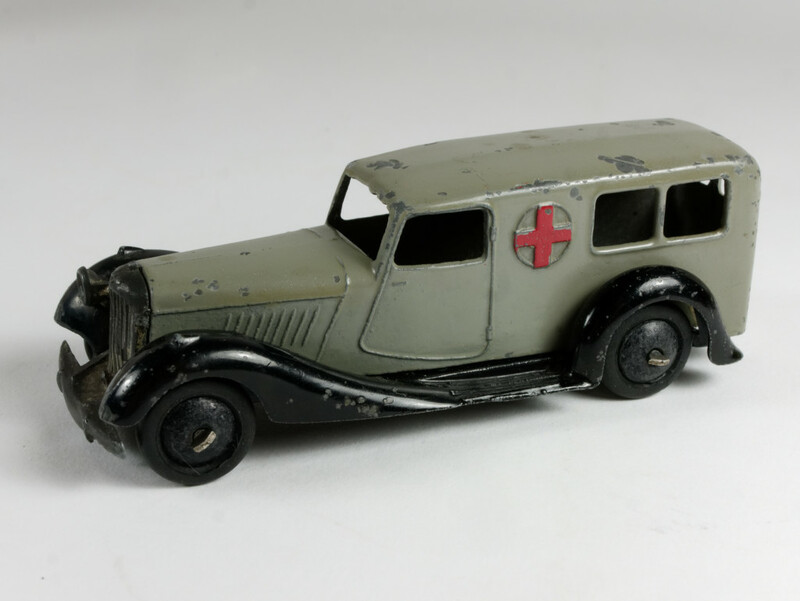 My "new" ambulance does not look very gray, at least in my photos -- but parked beside my beige sample with closed windows, it is clearly a different color. As for a sample with closed windows that have been painted black, I have never seen one before and would be among those who think it might have been done by an owner. But who knows? 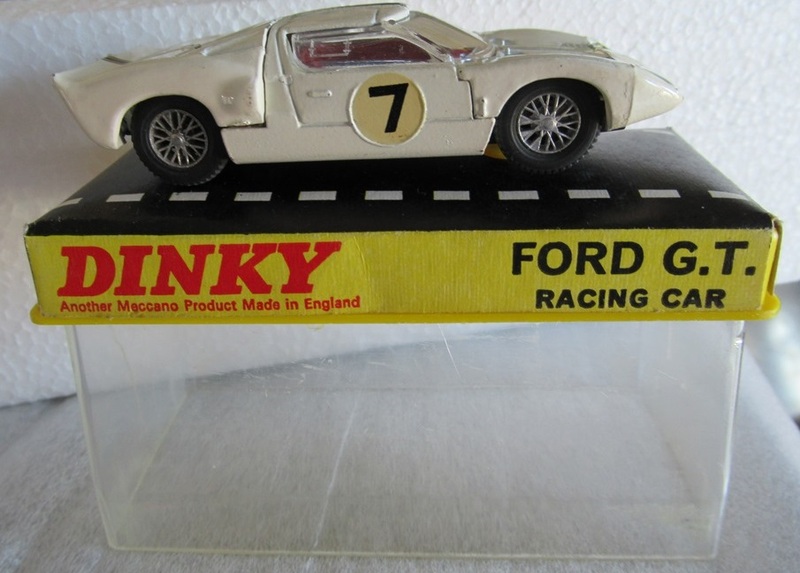 If there are any others of these around and they look similar, one could surmise that the factory experimented with that before abandoning it as too expensive! Here are 3 new arrivals, all aircraft. Firstly the Dinky 708 Vickers Viscount in BEA livery. 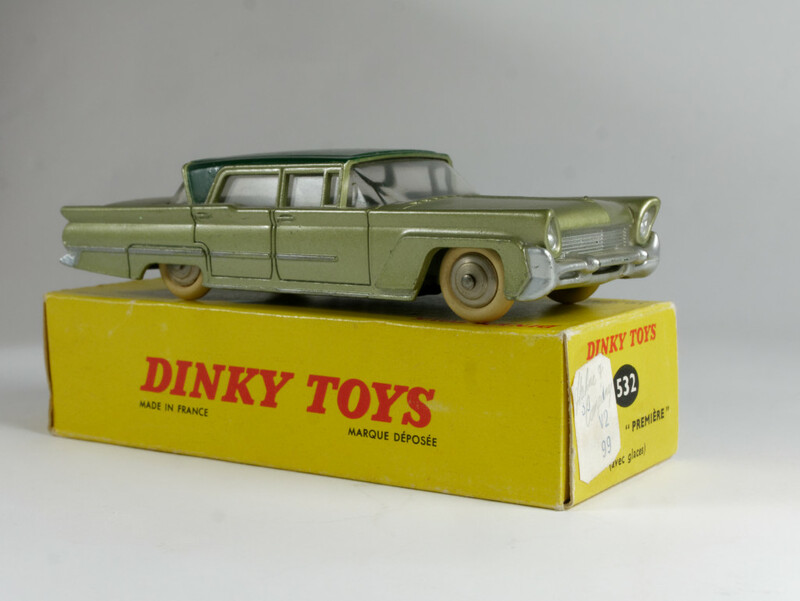 Secondly the Dinky Supertoys 998 Bristol Britannia Airliner and thirdly the Dinky Supertoys 999 D.H.Comet. All are in excellent condition with good boxes. The Britannia has the internal packing in the box. My only criticism of the Comet is that the engine intakes are not big enough when compared with the real thing. Very nice models you received all of you. For my part, I slow down a little bit, because now, parking places are missing ! 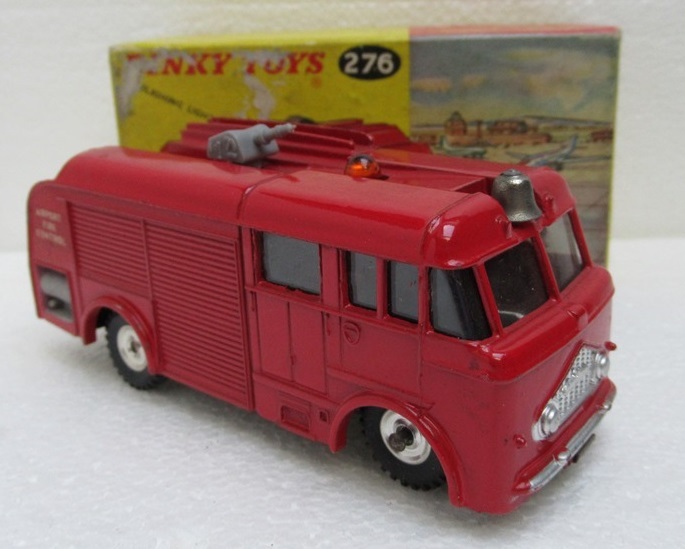 -airport fire engine with mat painted baseplate instead of gloss and "orange" light instead of red. 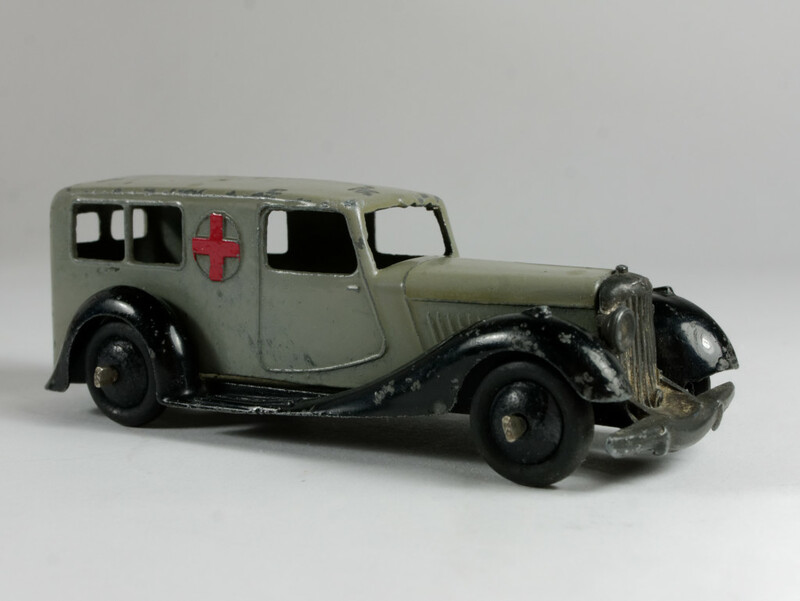 -Armstrong Siddeley 24b with french baseplate. Wheels and radiator grille have been changed ! I am waiting for 4 others , but it's an another story, and will be the subject for a new message ! Very nice Airflow Tourer.....you don’t see these very often.....nice! Yes, I suppose that it's a post-war production. The french 24b is a interesting model. In fact it is the UK 24b Limousine, later 36a Armstrong Siddeley. Were Roulet used the names Conduite interieur 7 places and Limousine 7 places, it is just Conduite interieur in all the Meccano catalogues and pricelists. Three varieties can be found. 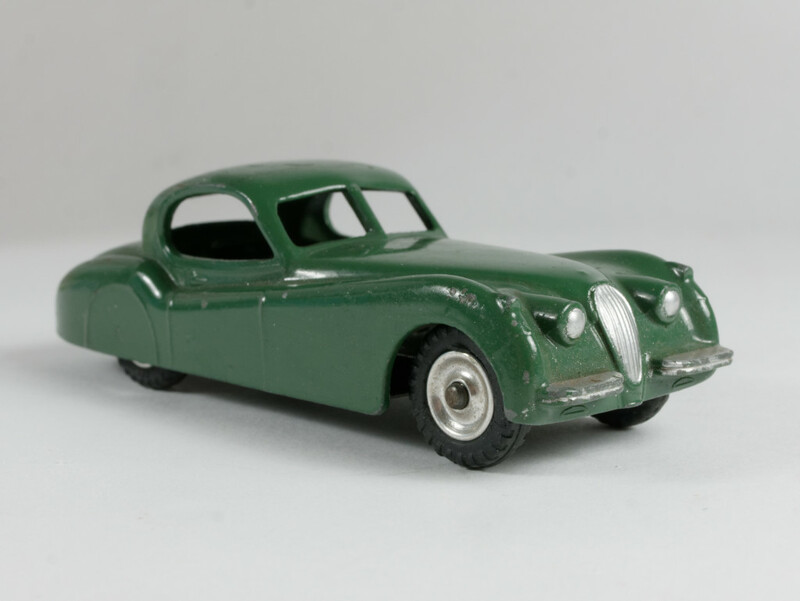 1 1934-1936 Dunlop tyres, no indicator lights on french based chassis. 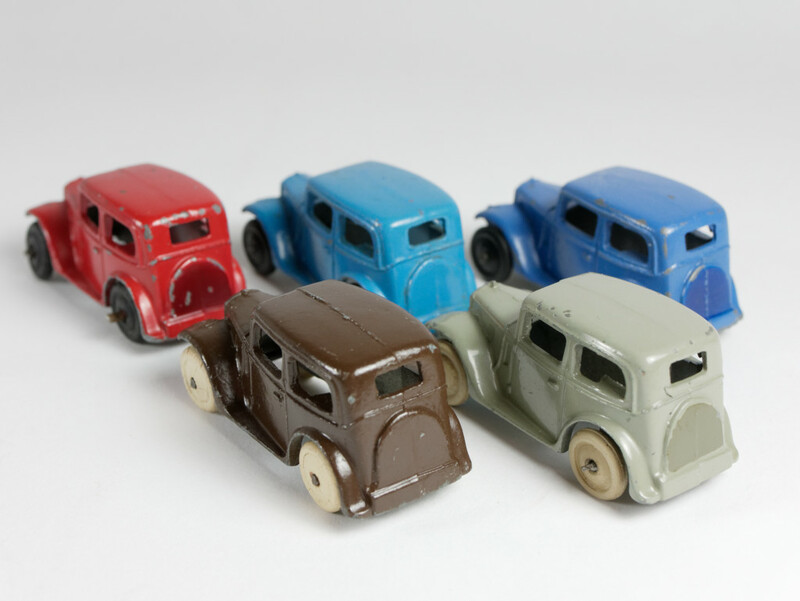 2 1936-1939 Dunlop tyres, indicator lights at front mudgards. So your model is a 1940-1948 model. 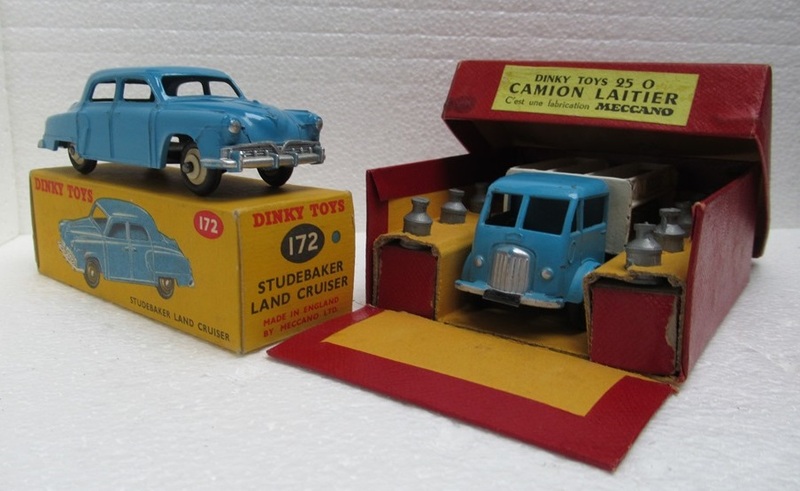 Two arrivals -- oddly I never had the plain Citroen van before, only the Cibie version and the two Gervais versions. An omission rectified. Meanwhile the 512, with an (acknowledged) repro box, is almost certainly someone's restoration, complete with odd copper-look axles, but I still find it pleasant. A very nice Citroën van. The grey finish was the only colour available from Citroën. All the other colours were repaints. Arrived this morning, a no. 252 Refuse Wagon and a no. 29h/282 Duple Roadmaster Coach. The Refuse Wagon is the earlier version without windows for which I have been waiting so long. I started with my brother's later example with windows and yellow/red plain box, which he bought in 1961. Then, in the 1980s he withdrew his models from my collection and I had to buy a replacement, exactly 30 years ago now. The first one I could find was an example with windows too, whereas I have always preferred the models without windows. 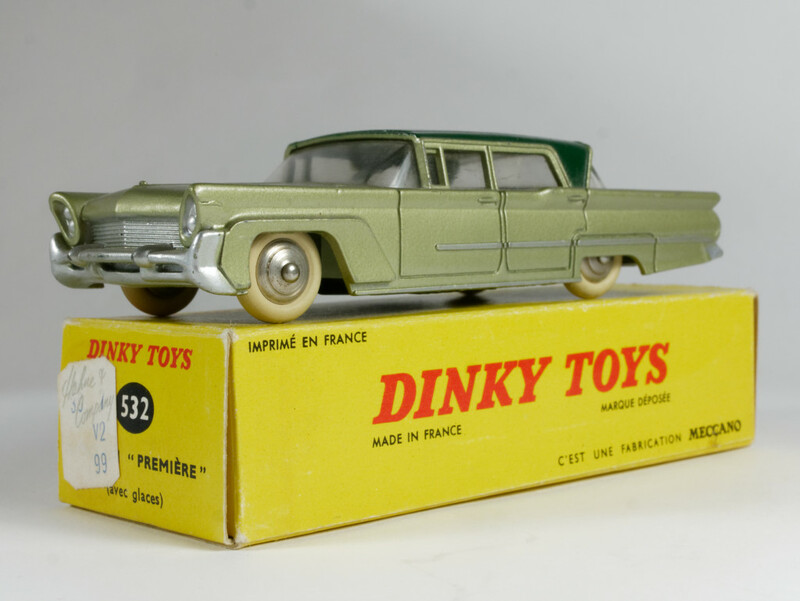 Subsequently, some twenty yers later, my brother returned his models to add them to my collection and I suddenly had two examples with windows in my display - albeit with different boxes. So now, at last, I had the opportunity to add the old desideratum - without windows. No diecast today, but a big A3 size parcel containing my new 2019 private Dinky Toys calendar, delivered by the postman. Nice work Jan, as usual. From my part, no work ! 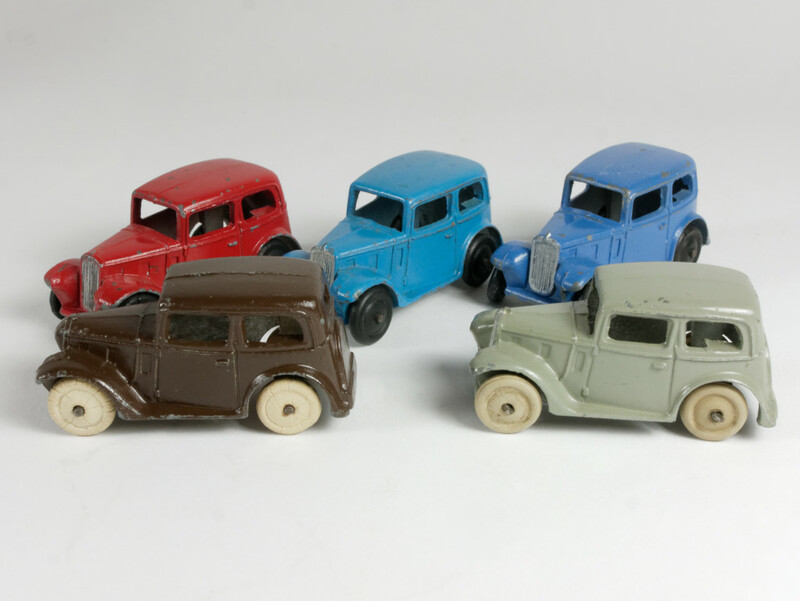 One Rolls Royce 198 with light blue inside and two Studebaker 39f in variations of dark blue. Today, these two items arrived. I was waiting for the Studebaker with cream hubs since a very, very long time ! 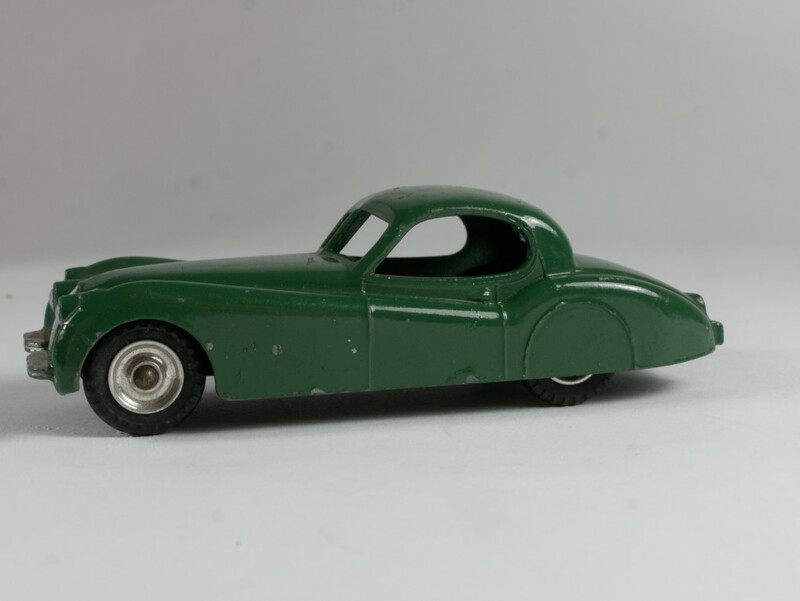 I am also lucky, to get a "Ford laitier", complete, in box and in a very fair condition. - Ford Vedette taxi ref.24XT. I already have this model in several exemplars (look at the right topic), but this one is special : the baseplate is not painted ! 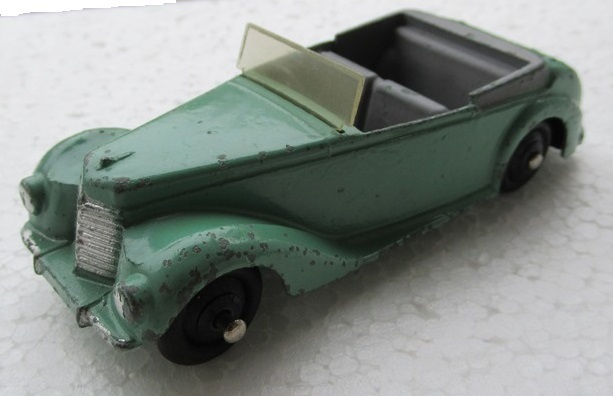 This morning, I received this green Armstrong Siddeley. It fits very well with its grey sister ! The windscreen appears to be silver framed, is it Richard? 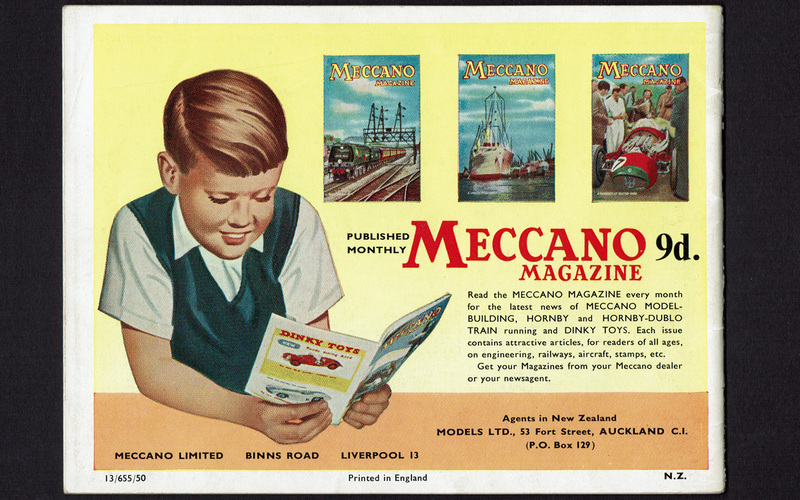 Jan, the image on the cover of that catalogue is perhaps the single most evocative image ever produced by Meccano Ltd. It would be wonderful to know if it was originally inspired by a photograph, or all the artist’s imagination. I would also love to see the original art work. 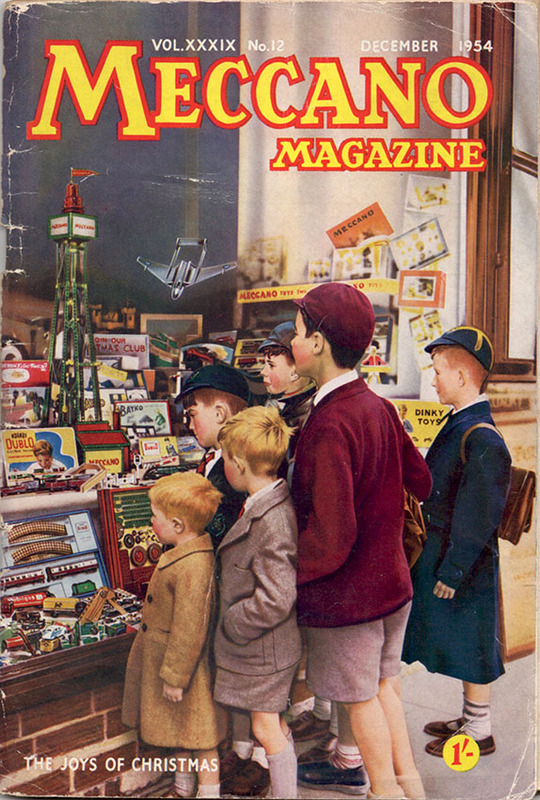 As many may already know, the same art was used on the cover of the December 1954 Meccano Magazine. What’s interesting is that the figures in the foreground are the same, but the background is somewhat different! 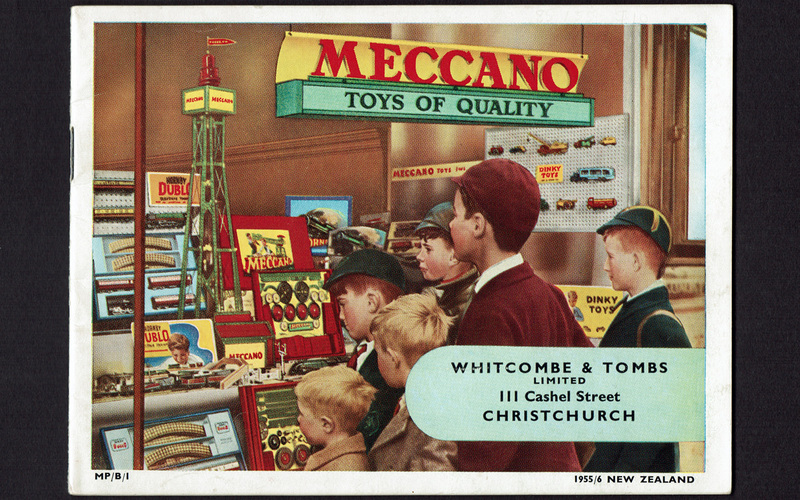 Right you are -- I noticed the Meccano sign added to the catalogue version of the image, but missed some of the details. The Meccano Magazine version makes a token effort at showing some non-Meccano products (the large-scale airplane and a castle) in the toy store, but the catalogue version doesn't! Yes Jan, the Armstrong windscreen is silver framed. 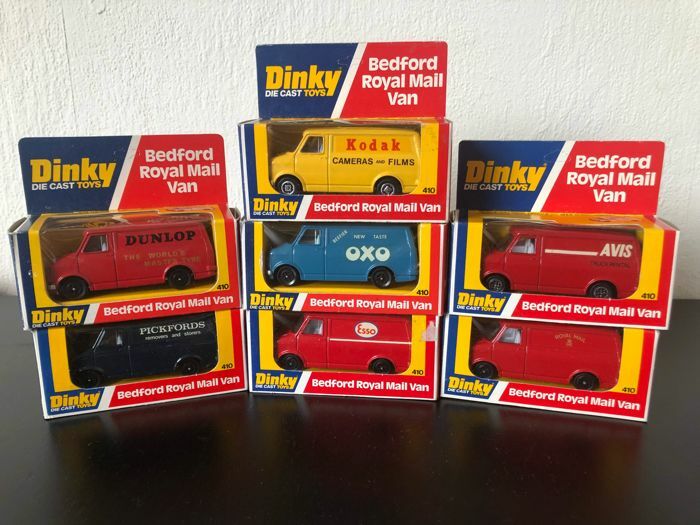 This morning came these 7 Bedford van from the John Gay "productions"
All are new in box. When I saw this beautiful conversion I thought at first it was designed as a 'Tower Wagon' for working on overhead trolley wires but, when I enlarged the image, it seems too tall and too sturdy for that. Then, as it is built on a 555, I thought it might be an escape but there's no obvious stair or ladder. What was the purpose of the original vehicle? By the way, I hope Sinterklaas will be adding to the pile this pakjesavond. Hello John, regarding your question about the converted 555: Jacques can possibly comment more precise than I can. There are also some comments on this one in the British Emergency Vehicles: 555/955 thread if I'm not mistaken. Thanks Jan. 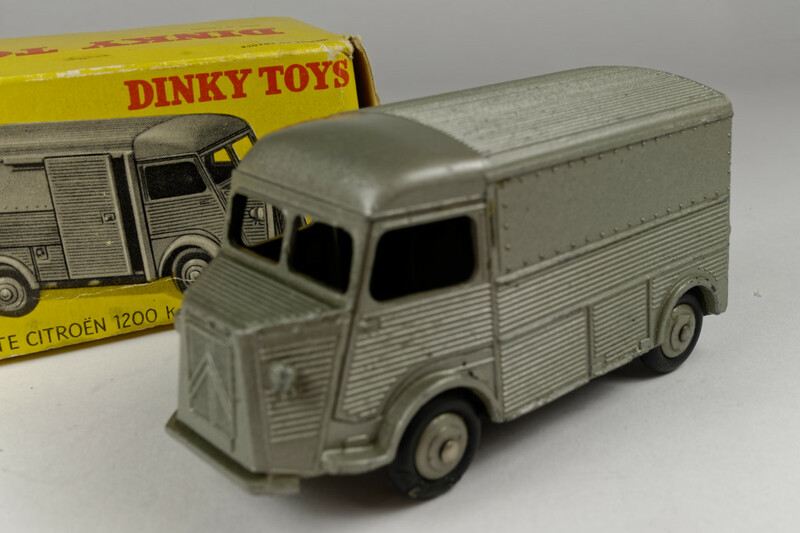 Yes, I saw and enjoyed the Dinky of the Day thread. I always enjoy looking at old photos and I spent some time this morning trying to identify the vehicle in the photo you posted on the 30 series Vauxhall thread. I'm pretty sure it isn't a Vauxhall as it doesn't have the chrome scallops on the bonnet, which were a feature of Vauxhalls for many decades. As to what it IS I cannot yet make a suggestion. I shall have a look at the 555/955 thread and, if I don't find what I'm looking for, I'll ask Jacques directly. 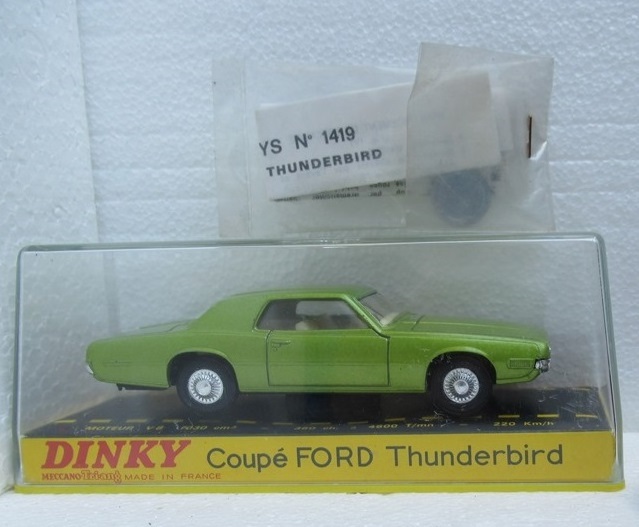 My ebay lot of 35 series cars arrived this afternoon so I'll post on them soon. 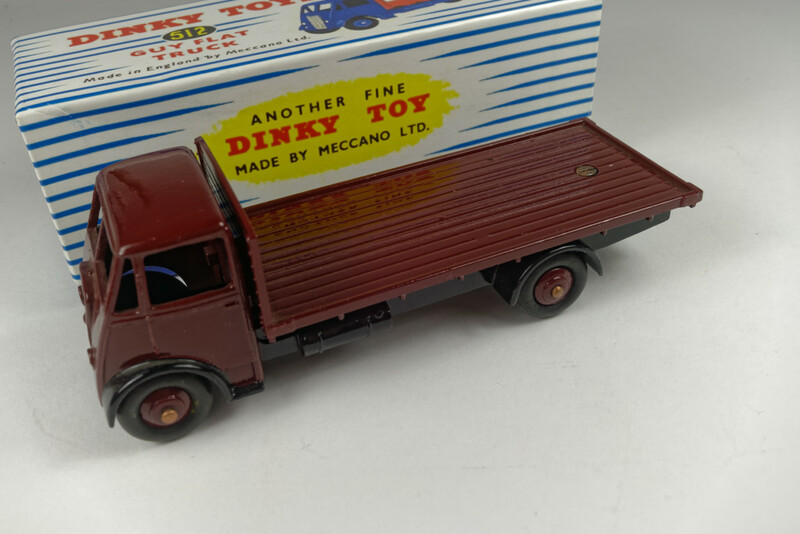 The truck is based on the pre war Paris tramway company over head repair truck. The original was build by Schneider and one of them is still kept at the Paris transport museum. I think that it was still in use until the 60s when the last trolley buses were witdrawn from sercice. 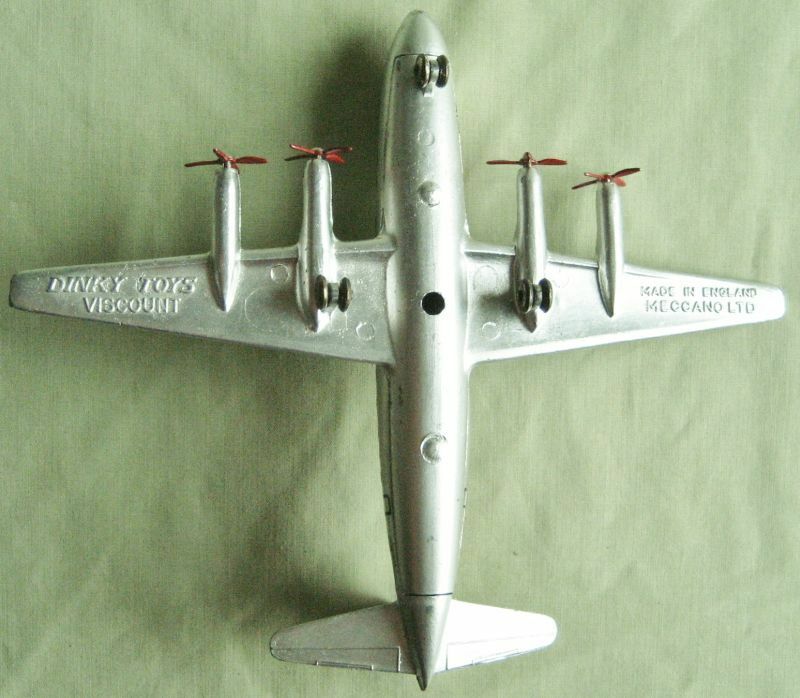 The model was made when I was 15 - 17 many years ago.